Disclosure - can we have a bonus disc, please? A*M*E and the fine art of "video face"
Alert: There is new music from TLC! It's not what I'm cut out for." 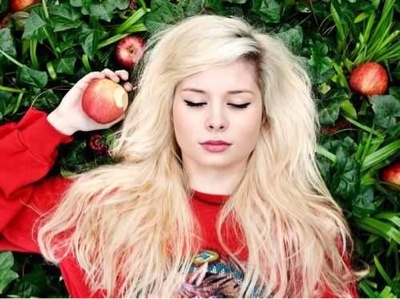 These are the opening lines of Nina Nesbitt's very good new single Way In The World - a song that captures a teenager's dogged desire to get on with being a proper adult with no curfews and a fridge of their very own. It's a good couplet, but I wonder if it could be improved with a little more detail? Here are a few alternatives, provided free of copyright for Nina to use in her forthcoming concerts and televisual appearances. "I'm working in a retail store. The biscuits are in aisle four." Were you ever mis-sold PPI?" Some guy just tried to wash his cat." "I'm glad to have a job today. "My job is in a branch of Homebase. I have a disdain for customers that borders on the psychopathic and my knowledge of our stock could be rivalled by that of a two-year-old. Do you have a Nectar card?" Fair play, Nina, it's harder than it seems. If you think yo can do better, leave your effort in the comments (or on Twitter) and I'll send a personalised mix CD or something to the best one. Way In The World is out on 22 July. The video is full of jolly seaside-based antics, as you can clearly see.